Crooners celebrates a great era when Sinatra ruled the airwaves and a fabulous dining experience marked the day. We bring it to you with our own contemporary spin that is at once mid-20th century and yet current and relevant for today. Join us for an unforgettable Mother's Day Brunch Buffet at Crooners with a delicious feast by Executive Chef Chris Lamkin and live music! I Am Woman, Hear Me Roar was terrific. The ladies brought me and my guest back. It was so fun!! The food was pretty good too. But, it took awhile to get after the order was placed. But, I will be returning to Crooners! ! Seemed like good potential, but went downhill. Walleye cake appetizer and craft cocktails were good. Greens and grains salad outstanding; caesar only ok. One entree arrived after a bit of delay; 2nd entree supposedly delayed more due to need to make more au gratin potatoes. We asked if the rest could be delivered without au gratin, which eventually is what happened. Potatoes showed up after another 5 minutes....cooking was apparently not the issue as they arrived only partially heated...temp variation throughout dish. Prime rib basically flavorless unless dunked in condiments. One other observation about atmosphere. Our dining area was mostly empty as it was outside one of the music venues. In essence, it served as 'backstage' for musicians. Not a problem, really, until trombone player blew out saliva valves THREE times only a few feet from our table. That wasn't very appetizing. In no hurry to return. We were very pleased with out food. We had the New York Strip and the walleye. Both were very good. The Bruchetta was awesome. The wild rice was excellent and we were especially surprised at how good the vegetables were. That night it was a mixture or green and yellow beans . The flavor was very good and they were cooked just right. Not too much and not too little. My only suggestion is that the plates did not seem very warm and consequently the food seemed to get cooled quickly. We have visited once every other month for over a year and this visit was so disappointing; the food was awful. No one in our group was able to finish our entrés! There must have been a change in the kitchen? I will try again but will need an improvement in the food to visit again after that. Wonderful establishment and fantastic food! Even had the owner, Mary drop by the table to check on us. Made my night! I will be back! Thank you! Our service was the low point of our dinner at Crooners. My husband's cocktail was brought to our table 20 minutes before my lemonade was finally dropped off. Our server was inattentive and cheesy when he did stop at our table. My Chicken Alfredo had very little flavor. My husband liked his steak frites and we both agreed the fries that came with it were the best thing at our table. I'm glad Crooners seems to be doing well, but it did not impress us enough to return any time soon. Food was very good, unfortunatly service was not. Took way too long for any one to acknowledge our table, and longer to get a round of drinks. Waiter seemed to be pre occupied by other waitstaff and seemed to be more interested in what they were doing rather than waiting on tables. Food was very good. The food was great and we are coming back to eat and enjoy a show. Crooners were out of mint for wife’s Mojito, so she couldn’t have one. The bottle of water was room temperature tap water. Wife’s French fries were cold, my pot roast good, but the vegetables were in the gravey and the gravey was only warm. Nice atmosphere, service was slow at first but picked up quickly after our wine and salads came, really a fun place!!!! Amazing experience! Loved the show!! Very good; we’ll be back. It's great to have a non-chain restaurant in the area and it even offers entertainment. My primary reason for going to Crooners was Bruce A. Henry vocalist extarordinaire he is a master of blues and jazz. Wonderful cozy atmosphere, tasty food! What a perfect place for a special family celebration. Not too noisy, great food, a lovely check-in by the owner and great care taken by all staff. We’re looking forward to our next visit! Server was a bit too snarky for my liking but other staff was friendly and food was very good. The meal was delicious and service good for a busy evening. My only other comment was the wine pour was very minimal. I had the salmon and it was fantastic! My partner had the prime rib - he said it was good, not great. Had dinner in the dining room (there were shows going on in the other 2 rooms). Great food - their pot roast, bacon burger, and pomodoro were awesome. If you come around 530/6 on a show night the bar is backlogged and drinks take 15minutes even for dining fyi. The service was also very good, and with A smile!! The entertainment was a great way to end a lovely evening!! We started with the host not being able to find our reservation for 3 and when she did, she seated us at a table for 2 so we were moved to another table. We ordered a bread basket to start with. It came with 6 pieces of burned toast for $6. We ordered chicken pot pie, walleye and stroganoff. The wild rice side for the pot pie was cold, the meat in the stroganoff was very tough but the walleye was good. It took a long time to get our dinners and when I asked for a refill on my pop the waitress also brought another iced tea for my mom. We were done with dinner and my mom didn't want another iced tea but the waitress told her she had to drink it. At that point we just wanted to get our check and leave. That took another long amount of time. I'm writing Crooners off my go to restaurant list. The entertainment in the bar is great however. Sad that server never told us there was a special. Didn't even see it until we exited the dining room. Would have preferred it for dinner. The beef stroganoff was good and the beet salad was excellent. We are there for a birthday dinner. The food was very good, the waitstaff was attentive and the entertainment is a great bargain. What a treasure of an entertainment venue. A mashup of supper club and nightclub. We heard a venerable musical group perform after having dined here. Will we go back? Absolutely! Not a doubt. And, we will take friends. I was unimpressed with the quality of the food and the prices are high. There is an up-charge for almost everything, including bread. If you want any gratin potatoes, it’s an additional charge. I like the music there, but the food and prices are disappointing. Our reservation was at 5pm on a Friday, so you can imagine it was not busy at that point. It took 45 minutes for our server to take our drink order, she had been truly walking back and forth complaining about things, loudly telling the manager that her area was too large and that she was not going to take the table that had been seated (before we got there), when she did come to our table she struggled telling us the specials and laughed loudly when she messed up. She didn’t help us to feel welcomed nor did she check on us very often...even when we tried to get her attention. We asked for our check at 6:45pm even though we were not done because we had tickets to the theater for 7:30 pm. The food was amazing, the ambiance fantastic, the performer for the evening was sitting next to us , same server same issues, but he overheard it was my birthday and sang to our table which was super awesome. My suggestion, have more servers on a Friday night. We will definitely be back.... hoping for a different server next time or at least for her to be less stressed next time. I usually love this place, but last night we were seated in the boring dining room instead of the lovely bar area. The food was cool, must have sat in the kitchen. The fish had way too much sauce, drowned it. And the server was snippy and incompetent. Hopefully just a bad night. The staff left a lot to desired, the wait staff messed up our order, then tried to make us feel like we ordered the wrong thing. We ordered white wine not red. We went for a show that we had a reservation for only to be told that it was for a Dining only reservation, lucky that the show was not sold out. Only to be put at a table for six in the back off to the side. Got to our table and it was either over sold or people were sitting there who d I’d not have a reservation, we were made stand in the middle of the room while they found us a table and it was pointed out rather rudely that this table was a upgraded table from what we had. While we had to wait around I almost got knocked around and pushed out of the way by at least 3 staff members who apparently had somewhere to be and did not bother to say excuse me or apologize for actually pushing me out of the way. I also nearly got hit by a cart that some staff was pushing somewhere, if I didn’t turn and see her just in time the cart would of smashed my kneecap as we were sitting at a high top table in the bar area. Overall while the show was outstanding and very enjoyable the place itself was far from it and I will not be back anytime soon. 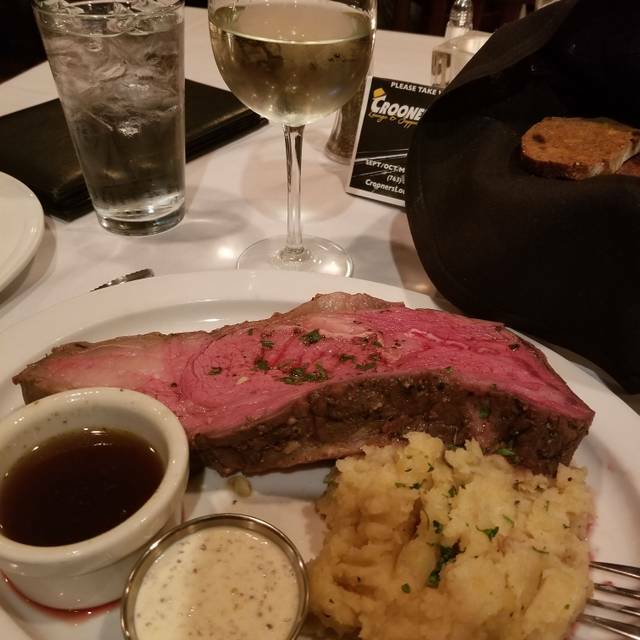 Prime rib is delicious and reasonably priced! Service is excellent the as well. I have eaten here multiple times and the service and food is exceptional. We visit frequently. The food is good, the music great and the staff is helpful and friendly. Thanksgiving buffet was excellent well spaced out so not to crowed. That said preferred last years table service for elderly parent as it was difficult for her to walk and carry a plate as she made her selections. Host owner Margarita was gracious as ever. 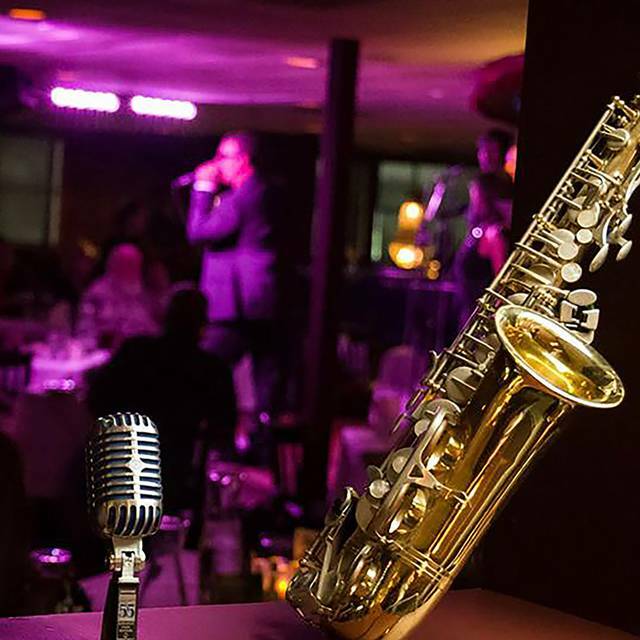 Love Crooners the food is always fabulous service great music fantastic best place in Twin Cities. While the Thanksgiving Buffet food and service was ok, our experience was not. We were ushered through the room past several empty tables with the host person stopping at tables, moving chairs and leading us to a bar style table with high type chairs against the windows and was told that they would be seating other people with us at the smallish table. I objected gently and asked for a regular table. The host person said she would see what she could do and quickly came back and said that there was nothing she could do and offered a manager. The distracted manager approached and gruffly asked what the problem was. I complained about the uncomfortable bar type table and that they panned on seating others with us. Her reply was “well then, I won’t seat anyone else with you and abruptly left. We were not aware that we would be seated with others when we made the reservation and there was no mention of the ridiculous bar type seating. Transparency would have made this all moot as we would not have made the reservation. We eat out frequently and are always looking for a supper club type place and thought that we may have found it here but this experience left us disgusted and we will not be returning. An enjoyable meal. We did not stay for the performance although the scheduled guest would have been an added treat. Another time perhaps. 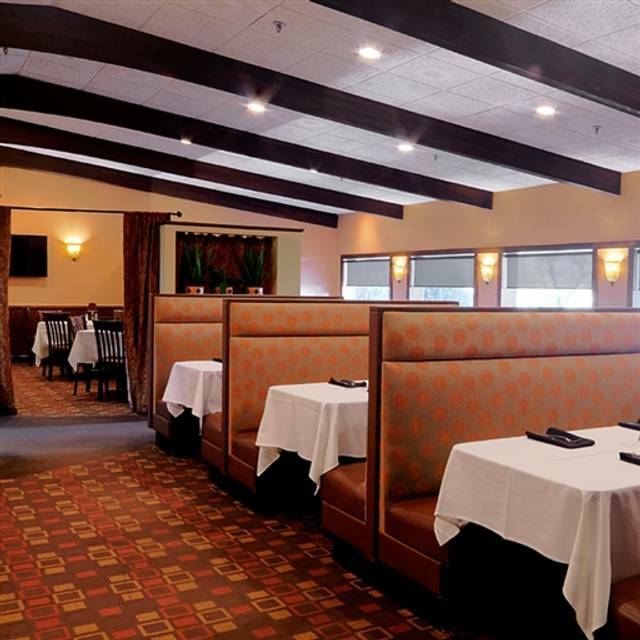 This was my first time at Crooners, which I found on Open Table, and I was wonderfully surprised by the elegance, the decor, the cleanliness, and the service by the staff. Food could be stepped up, but it was fine... just not over-the-top like the rest of Crooners. Please start a new Crooners in Minnetonka or Eden Prairie. 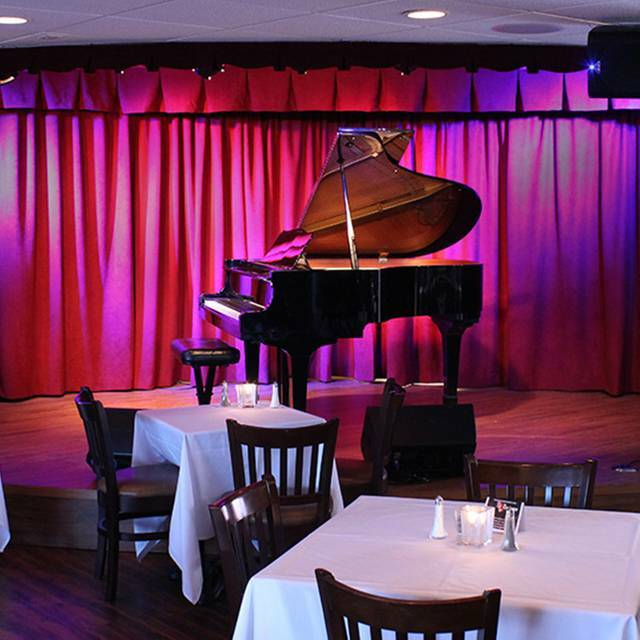 With the live music, the wonderful atmosphere, and the old-world (Frank Sinatra era) charm, you'd do great! I met there with some friends from high school. I hadn't seen two of them in 40 years. This was a great spot to meet. The food was delicious and the service was great. I recommend Crooners. Asked for certain seating and I understand they have events but I did not receive a call until 3 hours before our reservations that they could not be met. And had no time to change accordingly to our evening. The food was amazing and the staff were very friendly and attentive. It’s my 2nd time there and I wasn’t disappointed. We didn’t get tickets to the show. It was a last minute dinner option but the music sounded great.